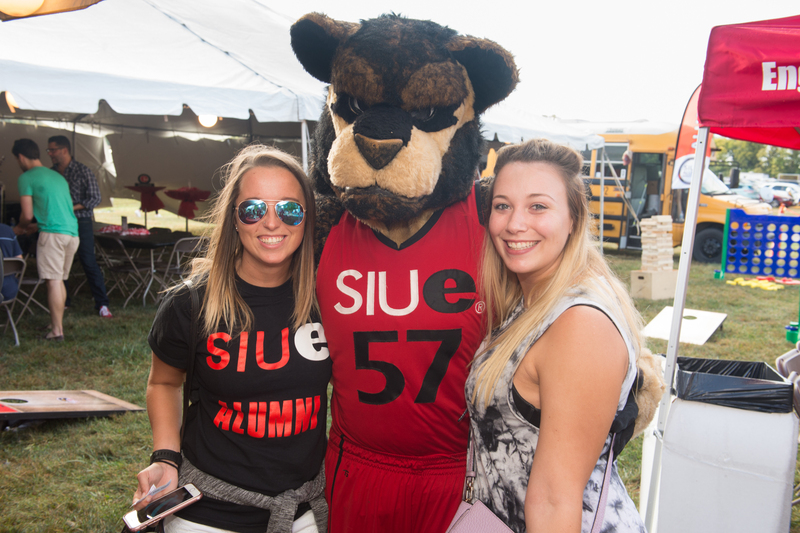 SIUE eConnection - Cheers to Homecoming 2017! 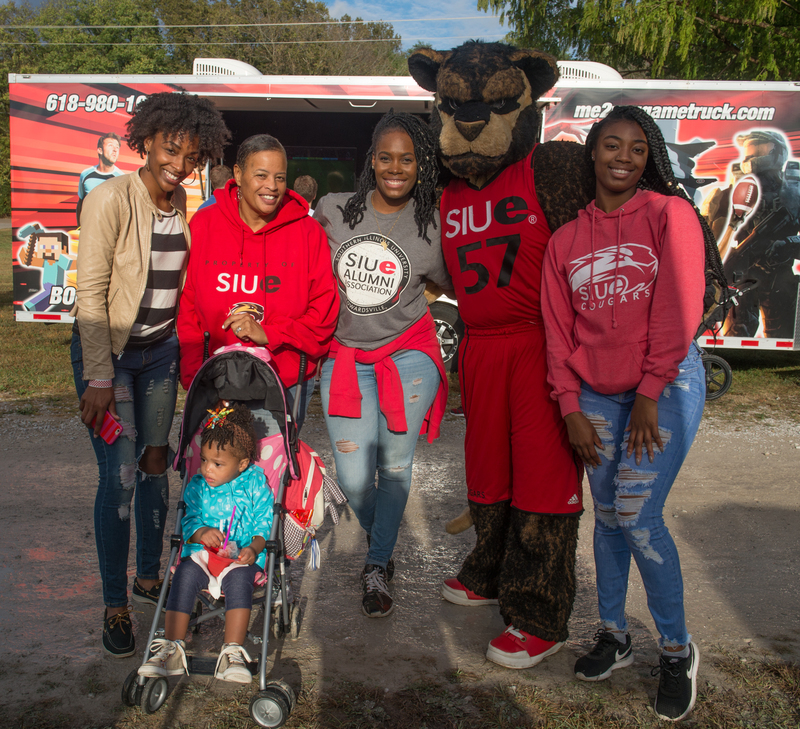 The first weekend of October, alumni, current students, faculty, staff and visitors turned out in full force to celebrate SIUE’s Annual Homecoming weekend. We began the weekend celebration with the annual Alumni Hall of Fame Dinner and Awards Ceremony where we honored nine distinguished alumni. 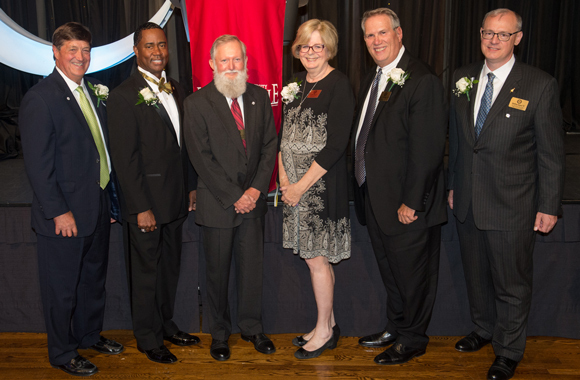 Left to Right: Greg Moats, PhD, BS Physical Education ’76, MS Educational Administration ’93; Robert Mock Jr., PhD, BS Industrial Engineering ’90; Robert McClellan Jr., BS Business Administration ’73, MBA ’76; Anne Perry, PhD, EdD ’91; Thomas Schamberger, BA Mass Communications ’74, MS Mass Communications ’81; and Matthew Samsel, MS Mathematics ’00. Not pictured: Dr. Julie Paulson, DMD ’79; Dr. Peter Paulson, DMD ’78; and Patricia Heberer Rice, PhD, BA History/Foreign Languages and Literature ’86, MA History ’89. More than 400 participants were up bright and early Saturday morning for the Cougars Unleashed Homecoming Run. After the run, everyone gobbled down pancakes while celebrating those who medaled in the race. 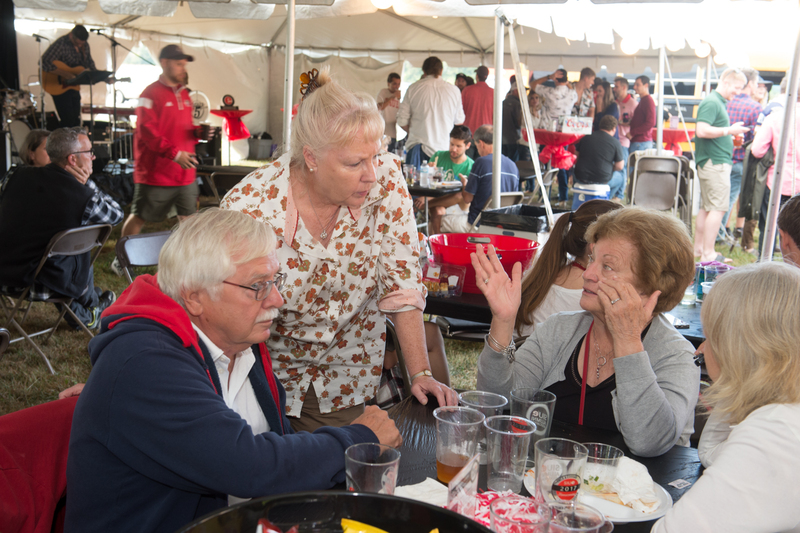 An alumni tailgate crowd gathered at Korte Stadium Saturday afternoon in anticipation of the SIUE men’s soccer game against Bowling Green. Alumni enjoyed live music from alumni band Trigger 5, devoured tasty food from local restaurants, and played a variety of games on the lawn. Special seating was reserved for several reunion groups. We were thrilled to see so many Cougars come back to campus for a chance to make new connections and reunite with classmates, professors and friends. We can’t wait to see you again next year! Save the date to join us for Homecoming Weekend 2018, September 28-30.